Singularity University is located on the NASA campus in Silicon Valley. The institution is famous for training students and corporates on exponential technologies to impact 1 billions people.Every year the Singularity University organizes the Global Grand challenge Awards during its global summit. 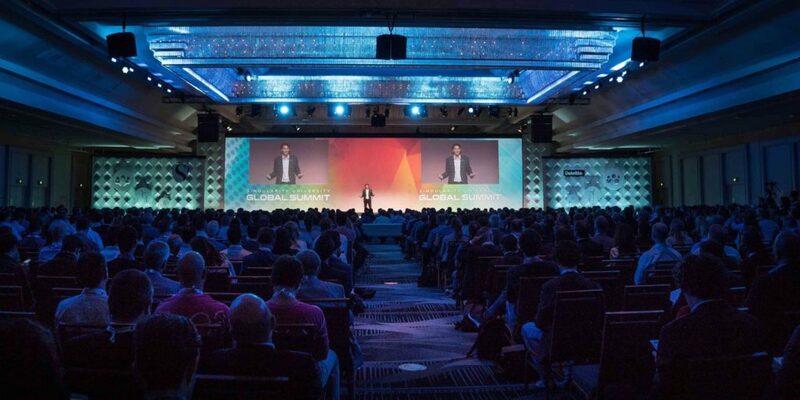 At Singularity University, we believe that leveraging the convergence of exponential technologies will advance us along the path to solving our Global Grand Challenges (GGC) and will shift humanity from an era of scarcity to one of abundance. We’ve teamed up with some of the world’s most influential development organizations and companies to evaluate the potential human and economic impact of GGC Award applicants, and to offer connections, resources, and recognition to their projects.One participating organization from each track – the one found to have the most potential to positively impact one billion people through exponential technology – was selected as the track winner, and earned recognition and exposure to some of the world’s most influential companies and development organizations. 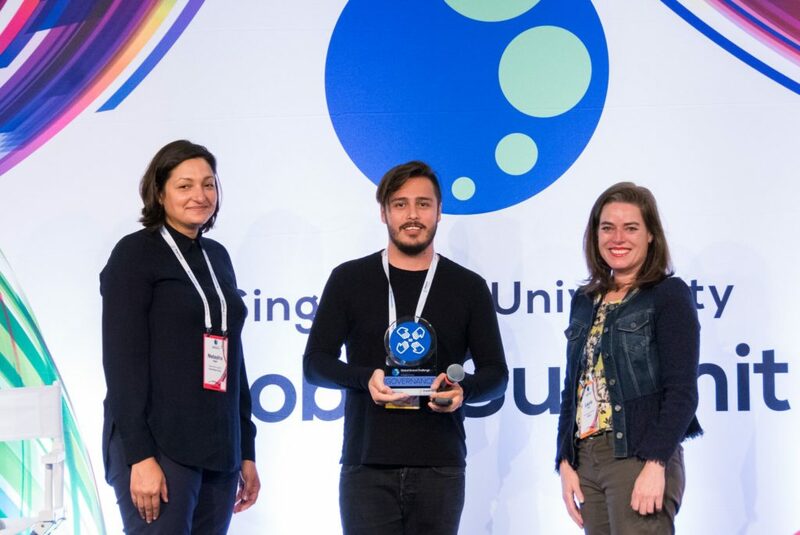 During the Global Summit of Singularity University MakeSense was awarded the Global Grand Challenge Award on the governance track by the Singularity University, the World bank group and Deloitte. With our platform we give citizens the power to build community and solve the global goals. Using the power of communities citizens, with their actions, creativity and efforts have an impact on our global governance. To create data analytics and forecasting platform to allow partners to explore and expand grassroots initiatives led by citizens and Social Entrepreneurs on the global goals. We would like to thanks Deloitte, Singularity University and The World Bank Group for believing in MakeSense s potential to help impact positively 1 Billion people on the planet leveraging technologies and communities.